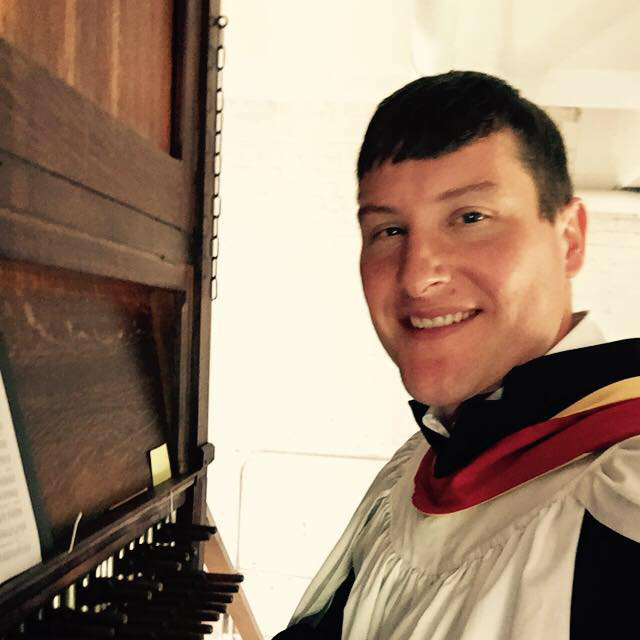 Meet Demas Boudreaux, Richmond, Virginia’s favorite pianist, carillonneur, and wedding musician for over ten years. Raised in Virginia with Louisiana roots, Demas Boudreaux is passionate about music and the honor of serenading the most momentous occasions in the lives of countless Richmonders, Virginians, and beyond. Educated at Hampden-Sydney College and Virginia Tech, Lynchburg College awarded him the Master of Arts in Music in 2017. 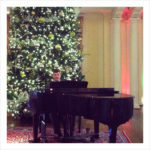 A truly versatile musician, Demas Boudreaux has the broad experience to suit the demands of any social, religious, or ceremonial gathering requiring piano or organ music: Weddings, cocktail parties, dinners, birthdays, anniversaries, baptism receptions, Christmas parties, and funerals. Known to even pick a little bluegrass (or track down a bluegrass band when requested), if your event requires music, let Demas Boudreaux be your personal musician. To listen to sample recordings, please visit soundcloud. 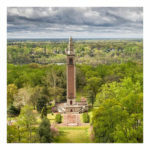 The 53 bells of the The War Memorial Carillon have been ringing since 1928. 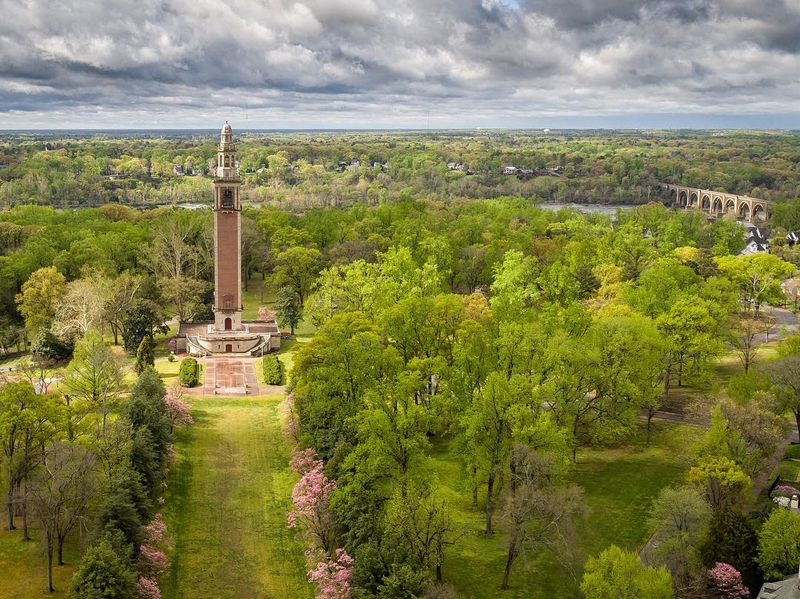 Dedicated as a lasting memorial to those who served in “The Great War,” the tower of 240 feet was designed to include a carillon, built by the John Taylor Bell Foundry in Loughborough, England. 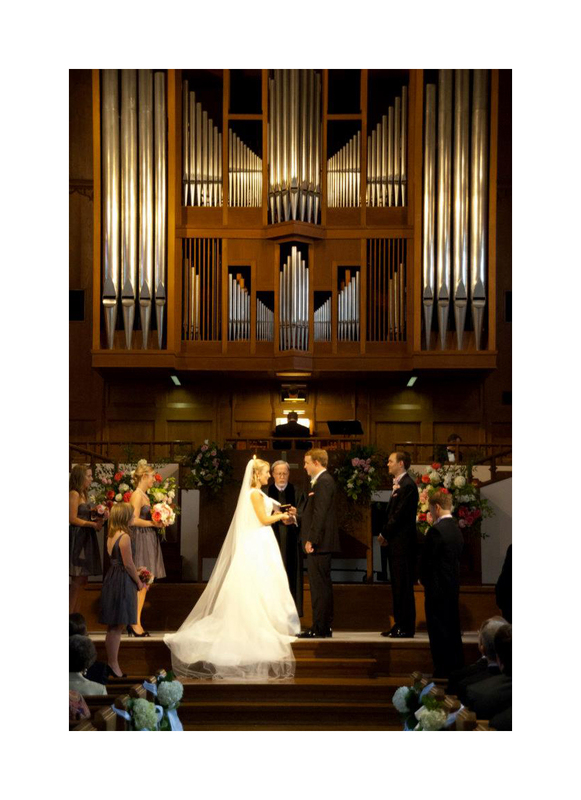 Today, the bells are played at concerts to commemorate civic holidays such as Memorial Day, but you can hire Demas Boudreaux to ring the famous bells for your wedding or other event. The first floor of the Carillon Tower has event space for parties, wedding receptions, and meetings. Many a Richmond bride has been married on the Tower steps to the bright sounds of the carillon bells pealing overhead. 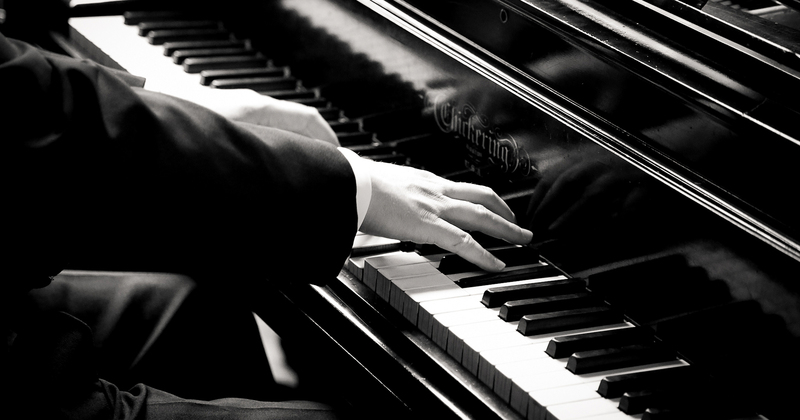 If you want fun, easy-to-listen-to background piano jazz for your party, dinner, reception, birthday, or Christmas celebration, Demas Boudreaux has years of experience, loads of references, and the savoir-faire to create just the right musical soundscape to perfectly complement your event. Specializing in favorite jazz standards, Dixieland, and the pop tunes surrounding World War II and after, this musical backdrop so familiar to generations always creates the ideal ambiance. 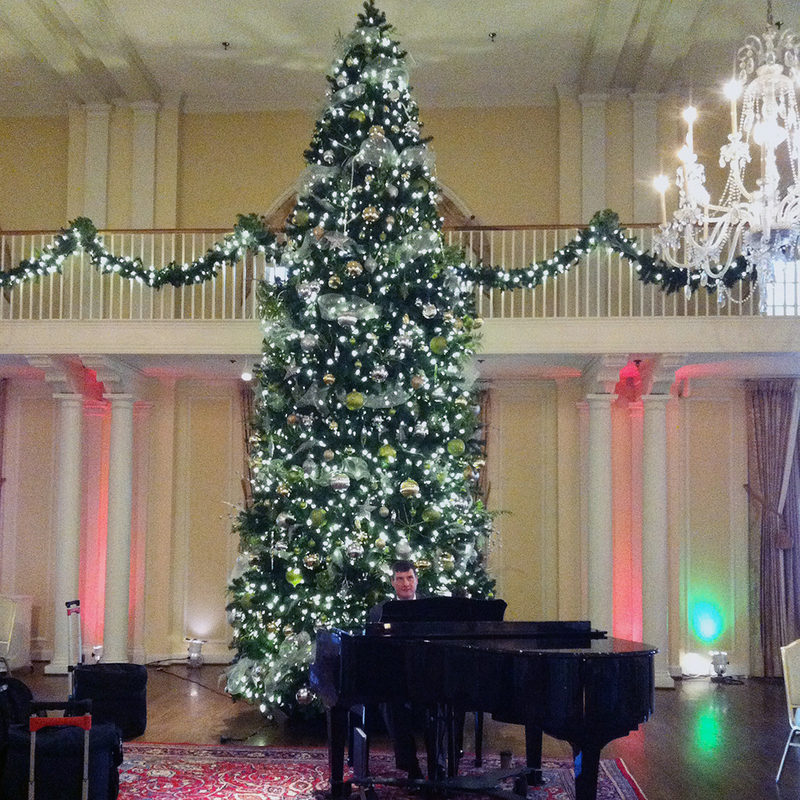 Whether in a private home, Country Club, hotel, or other event space with a piano, you will want Demas Boudreaux to be your pianist! 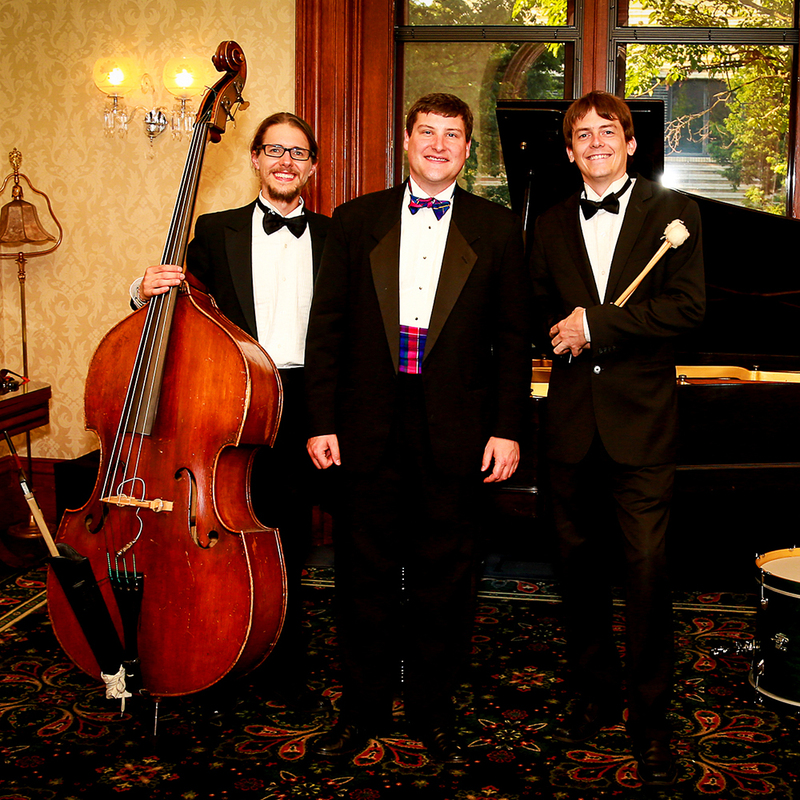 Demas Boudreaux, piano, Brian Cruse, bass, and CJ Wolfe, drums, have been playing together for years in “The River Trio,” Virginia’s go-to jazz trio for private parties and events. Specializing in Mid-Twentieth Century standards, with an emphasis on the songs of World Wars One and Two, the trio seeks to revive (and preserve) the sounds of this major American era that produced “The Greatest Generation.” Occasionally adding a clarinet, the sounds produced by The River Trio are the perfect accompaniment to any soirée, cocktail hour, rehearsal dinner, birthday celebration, Christmas party, black tie affair, or other milestone in your life that you want to commemorate with scintillating piano jazz. 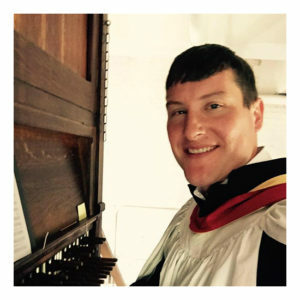 Since he played his first wedding at the age of 12, Demas Boudreaux has played for over 100 ceremonies throughout Virginia, the East Coast, and even abroad. 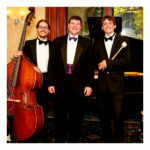 Whether you desire simple piano music, the classic sound of a pipe organ, or the addition of a trumpet or other instruments, Demas Boudreaux will work with you and your venue to plan the appropriate music to make your wedding ceremony (and reception cocktail hour or rehearsal dinner) reflect the elegance (and fun!) of this major achievement in your life. Many brides can vouch for his professionalism, easy-to-work-with attitude, and commitment to making your wedding as amazing and special as you deserve. Email Demas E. Boudreaux, at book@rvamusician.com or telephone at 804-372-7237 to inquire for rates and availability. You can also fill out the form below. Thank you for your interest!